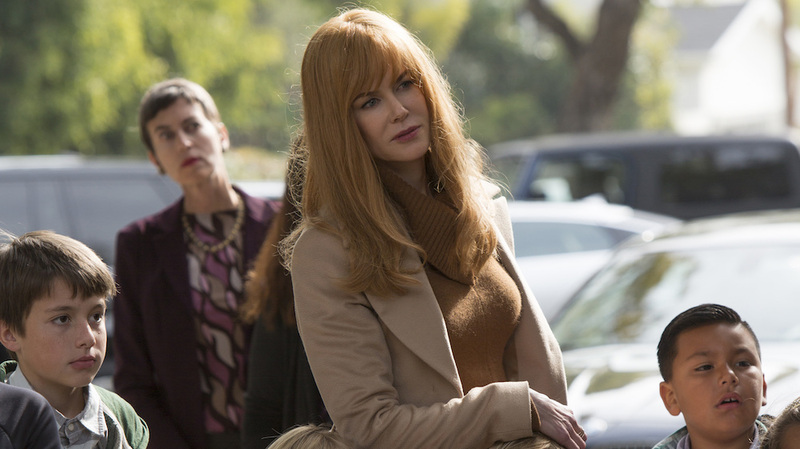 Investigating ‘Big Little Lies’: ‘Somebody’s Dead,’ But Who Died and Who Did It? HBO has put forth a compelling case to solve. After Episode 1, here's who we think did it and who got got. 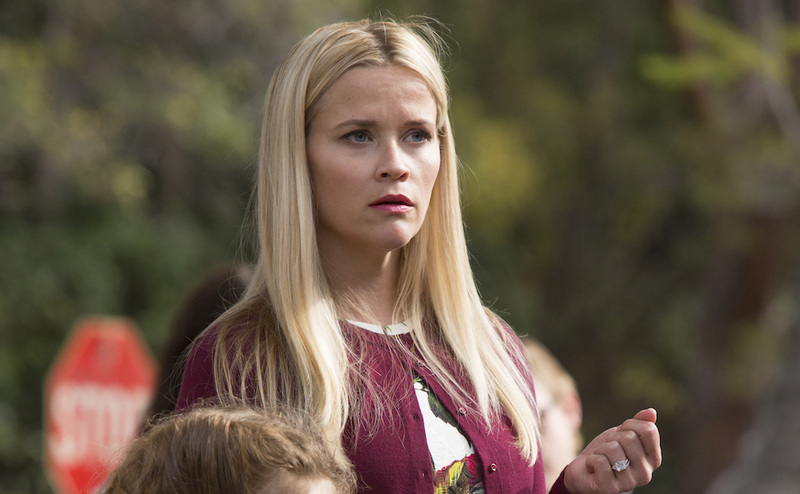 OK, OK, no one would ever say that on “Big Little Lies” (or probably even get the reference), but in a Baltimore-based version of HBO’s new mystery, can’t you imagine the other Monterrey moms warning one another every time Reese Witherspoon’s power mom came walking into school? Since the very first frames of Episode 1, Madeline dominates her world with an aura some may fear and others may covet. But does that make her the killer or the killee? We weren’t given many hints toward the murderer or victim’s identity in the first hour of Jean-Marc Vallee’s new limited series, but that doens’t mean we’re lacking in theories. Below, we’ve taken each major character introduced in the premiere and broken down what we know about them, what we don’t, and what it might all mean toward the series’ larger mystery: Whodunnit? “At the center of it is Madeline Mackenzie.” So stated one of the half-dozen witnesses seen in Episode 1. Another contended, “It’s possible if she wouldn’t have fallen, no one would have gotten killed.” They were referring, of course, to the fateful introduction of Madeline and Jane (Shailene Woodley). Jane stopped to help Madeline when she saw she’d hurt her ankle, and Madeline was then quick to defend her new friend when, later in the episode, her son was accused of choking another student. Sides were drawn, indicating Madeline is going to have enemies throughout. 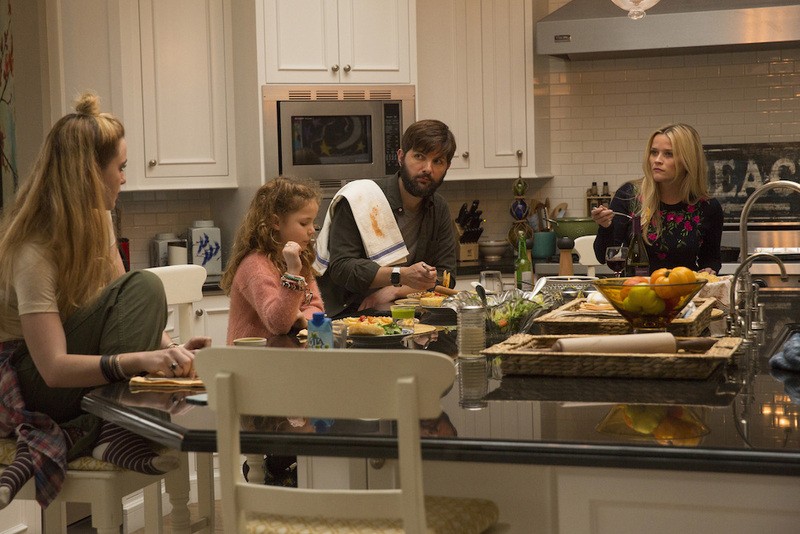 But beyond the cliques at school, she’s not happy at all about her ex-husband, Nathan (James Tupper); so much so that she hurt her current husband, Ed (Adam Scott), with her jealous tirade. Madeline really does have connections everywhere, and the heated emotions she sparks in both directions could lead to her death or her involvement killing someone else. That being said, she doesn’t seem like the overly physical type, and the victim suffered “a broken pelvis and a fracture at the base of the skull.” Perhaps Madeline shoved someone down the stairs where the victim was found? Otherwise, we can’t imagine her physically beating someone. Her attacks are all verbal. Let’s get one thing out of the way early: Jane may have a gun, but the victim wasn’t shot. So ignore that baiting shot near the end of the first episode. What we do know about Jane is that she’s either scared of someone coming after her (likely), eager to go after someone else (unlikely), or has other, more specific motivation for keeping a gun under her pillow (even). Celeste has “victim” written all over her. Or, to be as blunt as the show itself, she was labeled the victim since the first second she popped on screen. Charles Bradley’s “Victim of Love” played when we first saw Kidman, and if that’s not a hint toward what’s coming then we’ve been forever misinterpreting foreshadowing. Of course, that could also be a red herring, but we’re still keeping a close eye on Nikki Kidman: China Doll. Quiet, serene, and so beautiful it was commented on a number of times throughout the episode, Celeste didn’t literally say much. She was quiet and observant throughout “Somebody’s Dead,” but those knowing stares at her husband and Jane seemed to hint at a hidden secret. That secret could mean anything — including a darker, violent side — but we’re already worried about Nikki. 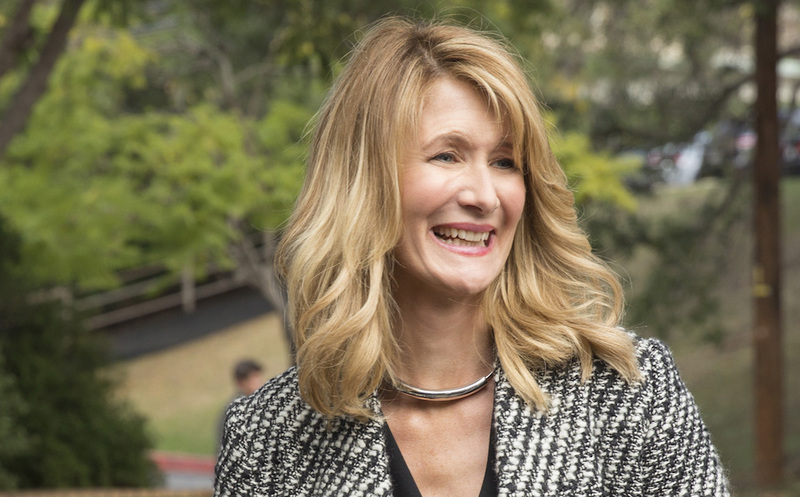 Renata appears to be Madeline’s archrival. That’s the line drawn in Episode 1, so it’s easy to imagine each character filling the role of murderer and victim. But Renata doesn’t seem to want a battle as much as Madeline does. She’s going to protect her daughter, as any parent would, but her confessional, misinterpreted by her husband, focused on how she just wanted to be liked. She doesn’t want to fight with other moms. She just wants to be part of the team. Does that mean she wouldn’t lash out? Of course not. Does it mean she’s a prime suspect? Not yet. Renatta feels just on the border between periphery character and a main player. We’ll have to wait and see what develops next week. Ed is Madeline’s husband. More than that, he’s her second husband. That means he’s not only dealing with her jealous tirades and two daughters (one of whom does not seem interested in keeping the peace), but he also has to deal with her ex. Being asked to side with the woman you love, keep the peace between families, and defend yourself in the process can be tricky. How Ed handles such obligations — along with an already bruised heart — could spell trouble down the line. He’s going to have that fight, Madeline! You both better be ready for it! What’s with that arm-grab, Per?! Skarsgard’s passionate husband got a little overly invested in their discussion of safety, ironically making Celeste question hers in the process. But there’s nothing funny about abuse, and Perry’s intense stare after Celeste broke free will haunt us until next week. Again, stay safe, Celeste. We’re worried about you. Two things: We don’t know who to believe when it comes to Ziggy or Annabella, but we’re not about to distrust the victim; not when she’s a cute little girl with actual marks on her neck and no good reason to lie (that we know of). Also, Jane waking up to find her sleepwalking son standing over her was creepy as hell. 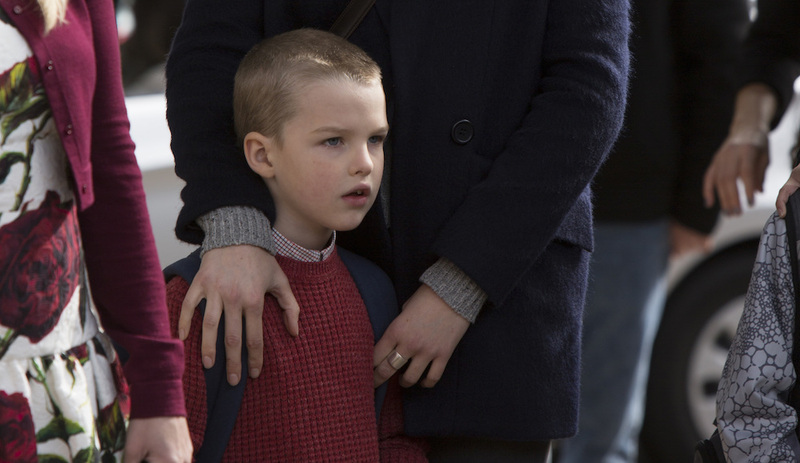 This kid is either damaged or just looks the part, but it’s best not to rule out the kids in a murder investigation. You never know what kind of accidents can happen. The ex is always a suspect. Whether Madeline is dead or not, she’s at the center of this whole thing, which makes Nathan a person of interest. The fact he’s still stirring up feelings in Madeline probably doesn’t bode well, as either she or Ed could have motivation to get this guy out of the way. Could he be the killer? Maybe, but it seems unlikely thus far. Nathan wants to stay out of the way, meaning he’s trying to pull out of Madeline and Ed’s lives. 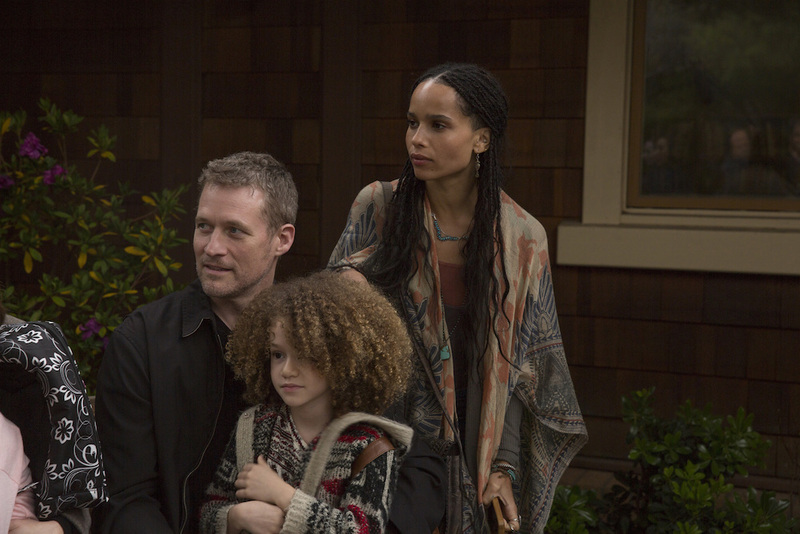 The children keep him somewhat involved, but he’s hesitant about his wife, Bonnie (Zoe Kravitz), even talking to Madeline. That either means he wants out… or he’s sleeping with his ex-wife. Based on what we’ve seen, we’re leaning toward the former. Leave your guesses in the comments below! 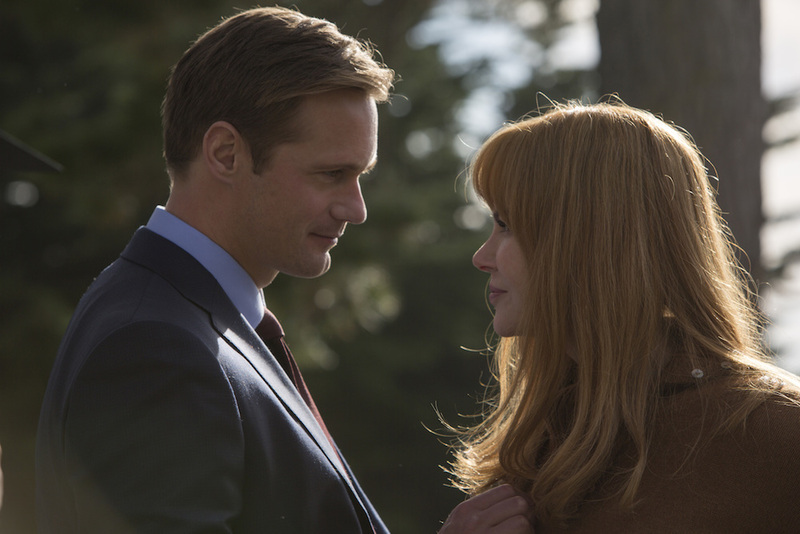 “Big Little Lies” airs new episodes every Sunday at 9 p.m. on HBO.